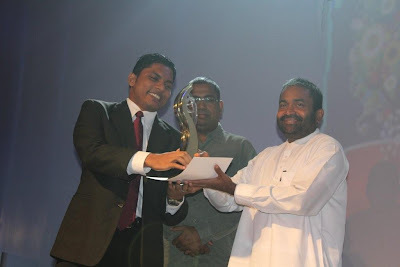 Bhasha Official Blog: Bhasha becomes the Best IT Company in the year winning the highest no of Winner Awards at e-Swabhimani 2011! Bhasha becomes the Best IT Company in the year winning the highest no of Winner Awards at e-Swabhimani 2011! We are so glad to announce you that Bhasha became the Best IT Company in the year winning the highest number of Winner Awards at e-Swabhimani National Best e-Content Award 2011.
e-Swabhimani is an initiative of the ICTA (Information & Communication Technology Agency) of Sri Lanka aimed at recognizing excellence in digital content creation. This national award stimulates a greater interest in the development of a wide range of content and services that serve the needs of society. e-Swabhimani Award was launched in 2009 & proudly organized in this year for the 3rd time. This year the Award Gala was held on the 22nd November at Waters Edge, Colombo & was graced by many distinguished guests & industry leaders. The colourful ceremony was presided over by the Hon. Minister of Telecommunication & IT, Ranjith Siyambalapitiya and other distinguished persons including the Secretary to HE the President, Lalith Weeratunga, The Chairman of ICTA, Prof.P.W.Epasinghe & The CEO of ICTA, Reshan Dewapura. Competing over 150 nominations from 15 districts & under 9 categories this year e-Swabhimani was awarded for 20 Winners, 12 Merit Awards, 1 Youth Encouragement Award, 2 Jurors' Distinctions & Certificates of Appreciation. 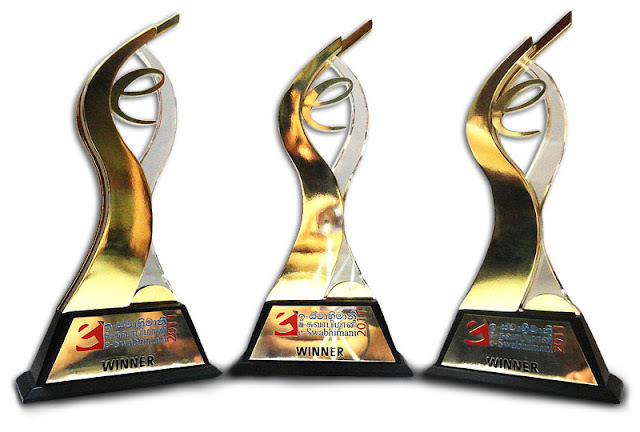 We are really happy to let you know that we, Bhasha won 3 Winner Awards out of that 20 & became the Best National e-Content Developing Company in the year. Bhasha SETTdeco is a web service given through a web widget that enables the user to read Sinhala & Tamil Unicode web contents even in the absence of Sinhala/Tamil support in the computer being used. Once the SETTdeco widget is installed by the developer on a given Sinhala/Tamil website or blog the web service will be automatically provided via the widget. If the visitor to the site is using a computer which does not have Sinhala/ Tamil Unicode support the SETTdeco widget will instantly detect it and do the job of decoding & rendering Sinhala/Tamil Unicode contents. The user can now view the content as he would on a Sinhala/Tamil supported computer. Unicode has enabled the use of local language, Sinhala and Tamil, on the Internet. However, a majority of Sri Lankan computer users do not benefit from the Unicode facility due to various reasons. Foremost being the fact the most commonly used to operating system in Sri Lanka, Windows XP, does not have Sinhala Unicode support by default. Manual installation of Unicode (Sinhala or Tamil) is thus required and users who are unable to do so cannot read Unicode characters in websites or contribute to blogs in local languages. It also adversely affects the Government’s attempts to serve citizens with a range of online services in local languages. 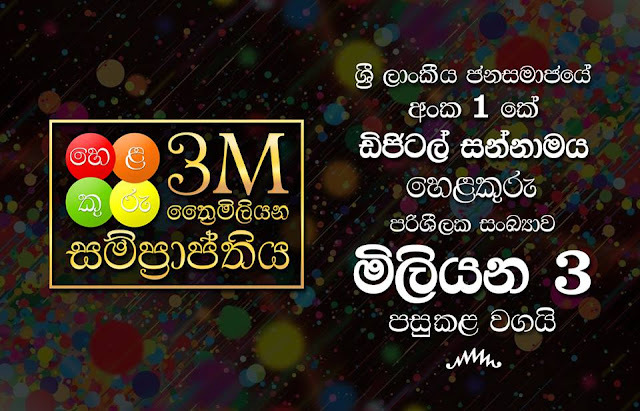 Some companies have even resorted to using non-standard methods such as use of text images in place of Sinhala/Tamil Unicode text or using non-Unicode fonts. Not only is this practice costly, it affects the usefulness and accessibility of the content since these websites are not non-searchable by search engines and precludes application of online translation facilities. The Android does not support Sinhala or Tamil Unicode or render it by default, but Android users can now conveniently read any Sinhala/Tamil website or web content using the Bhasha SETT Browser which comes with full Unicode rendering support. In addition to providing Sinhala/Tamil native script rendering support, it can also render Sinhala/Tamil content in Latin script, enabling Tamil speaking communities who understand Sinhala, but can't read Sinhala script to read and acquire knowledge of Sinhala content, and vice-versa. Bhasha SETT Browser is basically a mobile web browser for the Android. It has all the general functionality of a web browser such as bookmarks, history, downloads and tabs. The most important and unique feature is its exclusive capability of rendering and displaying Sinhala/Tamil Unicode web contents. It not only renders the Sinhala/Tamil Unicode web contents in the relevant native script it can also render the contents as transliterated Latin Script. This can be very useful to those who speak the language, be it Tamil or Sinhala but cannot read the text. In fact in Sri Lanka today there are a large number of Tamils who can speak Sinhala although they cannot read the Sinhala Language script. Another interesting feature is the fact that the Bhasha SETT browser has the capability of rendering English, Sinhala and Tamil simultaneously so that the user can conveniently read a web page containing all three scripts. Bhasha Dictionary is a centralized Sinhala-English e-Dictionary with multiple modes of access. The service can be accessed via a mobile phone (Bhasha SMS-Dic), via a chat client (Bhasha Chat-Dic) or via a web browser (Bhasha Web-Dic). It is the only Sinhala-English Chat Dictionary and the only Sinhala- English SMS Dictionary. It is also the only Sinhala-English Web Dictionary which has built in transliteration support. Because of its multiple modes of access, users can use this e-dictionary from where ever they are thus minimizing the impediments brought on by the language barrier in day to day work. This application will soon be available on the Android Market further improving its accessibility. It is reported that English is fluently spoken only by about 10% of the population although it is widely used for education, scientific and commercial purposes in the Country. This clearly indicates that a large majority of our population would need English Language support in their day to day work. Bhasha Dictionary is an excellent tool in this context. Many of us fall back on dictionary support in reading, writing and understanding English Language documents and while dictionaries; even e-Dictionaries are commonplace an e-Dictionary with multiple modes of access offers singular benefits to the user. He or she does not have to be in front of a computer, or connected to the Internet to seek the support of the Bhasha Dictionary for his or her daily use. A user not familiar with typing in Sinhala Unicode can still use this product typing in ‘Singlish” ( Sinhala words spelt in the English script) since it has inbuilt transliteration support. We are so glad to tell you that we are really proud about this great achievement as now we've won 4 Global & National reputed Awards for just 5 months of existence as a company. In this victorious moment we would like to thank our present partners LTRL (Language Technology Research Laboratory) of Sri Lanka & Etisalat Sri Lanka for the trust they kept on us when coming into a partnership with a new born startup company like us. We hope these achievements will lead us to keep on that trust & to serve the country more effectively making our vision a reality. Finally we would like to conclude this victorious post like this. "We are small. But we think Big. That's why these Big Awards are for us."